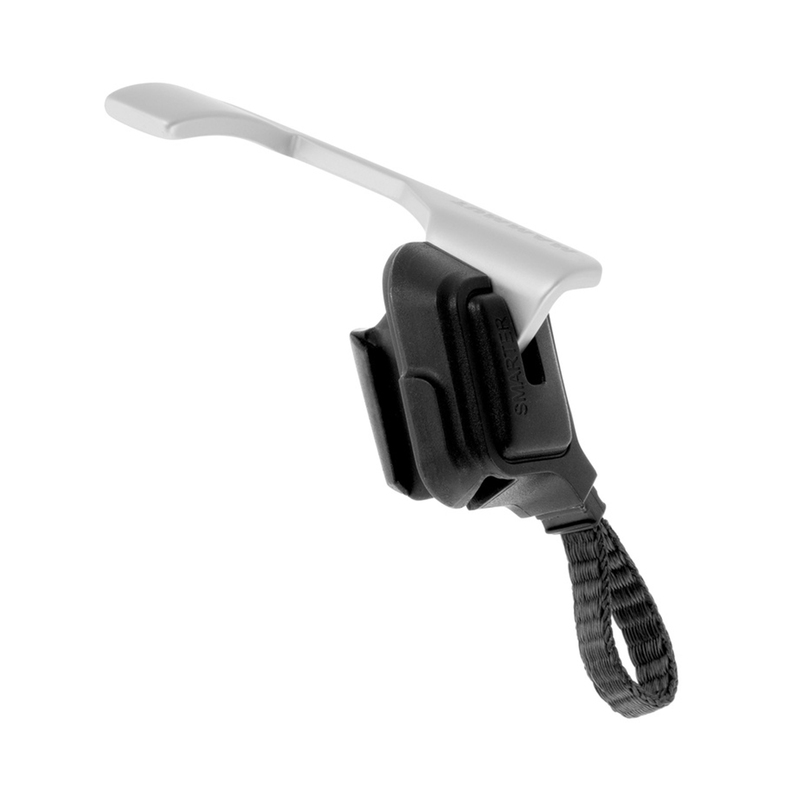 Add-on for the Smart 2.0 belay device to prevent the consequences of beginner’s errors. The innovative add-on for the Smart 2.0 increases safety even in the event of misuse by the belayer. The Smarter is simply attached to the Smart 2.0 and, in the event of a fall, it triggers the blocking of the rope even if the brake rope is incorrectly held above the Smart 2.0. It comes into effect only in the event of misuse and has no adverse effect on normal rope handling. • The main area of application for the Smarter is beginners and children, i.e. situations requiring greater safety. It can be easily removed if required and attached via the integrated loop on the climbing harness.